Finding the perfect flat can take some work. You buy a pair, wear a pair, and then realize they are NOT THE PAIR. I have been hearing about Rothy’s for quite some time but never researched or asked other Rothy’s owners their thoughts until about 2 months ago. I normally go to Target or DSW to find a pair of flats and I have found a few brands (normally those that team up with Nike) that I can run around in all day. I have ordered and worn my Rothy’s and here are my thoughts about the shoes. 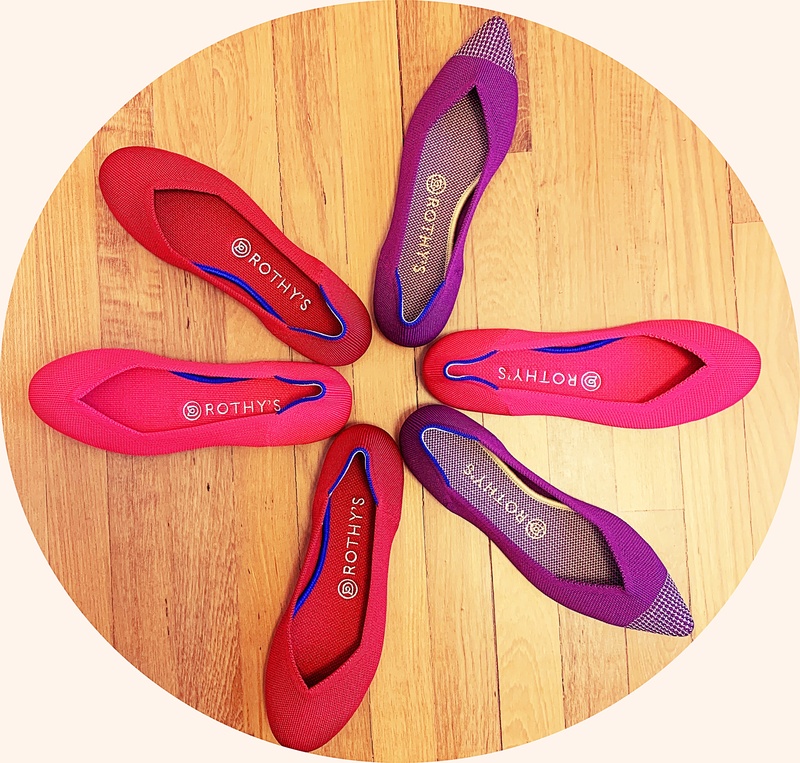 cutest flats that come in fun colors/patterns. environmentally friendly – made from recycled water bottles. These shoes are made from recycled water bottles but they are not rigid at all. machine washable; remove the insoles prior but also toss them in and wash on cold water. I had read a lot of reviews suggesting that you order a half size bigger from your shoe size and I agree. I say that I am true to my size, however, in these shoes, you will need that half size for space. If you order and realize you don’t, it’s free returns so that makes it an easy fix. Just be quick because some of the colors and pattern don’t last long. A friend of mine was already part of the Rothy’s Referral program and she offered me her $20 off coupon code to use. With no hesitation, I accepted and told her thanks. I combined the $20 off and purchased via ebates bringing my total down to less than $100 for the shoes with free shipping. Rothy’s referral program is amazing. Every time someone uses your code for the first time, you will receive $20 off for your next purchase. I think it’s a win-win for everyone!!! When you decide you want to order a pair of Rothy’s feel free to use my code so that you can receive $20 off your first pair with free shipping and returns. Let me know what you think after you have worn your Rothy’s all day and don’t want to take them off. I Can Be On Weekend Status Every Day. Never heard of this brand but may considering trying as I too love comfortable flats.